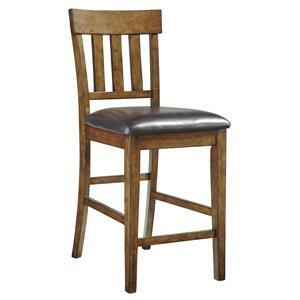 This counter height side chair is a trendy, contemporary accent to spice up your dining area. 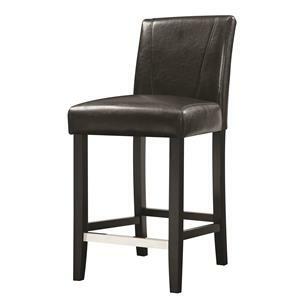 The two-tone look with a deep brown wood finish and a white seat and back upholstery creates a unique, sophisticated color palette. 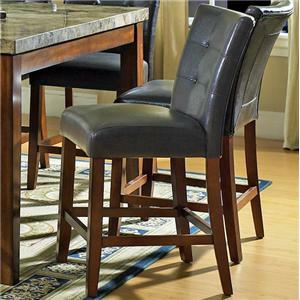 Designed with a cut-out backrest and luxurious comfort, this bar chair is a fresh and functional seating option in your home. 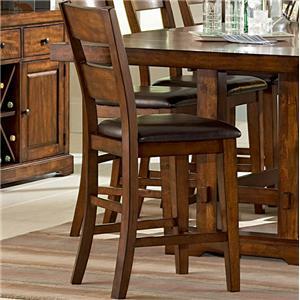 The Delano Contemporary Counter Height Dining Side Chair by Steve Silver at Furniture Superstore - NM in the Albuquerque, Los Ranchos De Albuquerque, Rio Rancho, Santa Fe, Corrales, NM area. Product availability may vary. Contact us for the most current availability on this product. 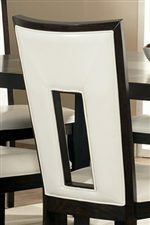 The Delano collection is an extremely unique and eye popping contemporary furniture collection, outfitting both your dining room and living room with fresh and functional furniture. 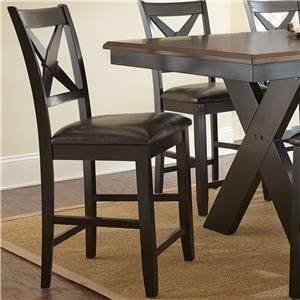 Wide and flat rectangular table legs, a deep brown finish, and cracked glass table inserts are just a few of the features that make this collection truly one of a kind. 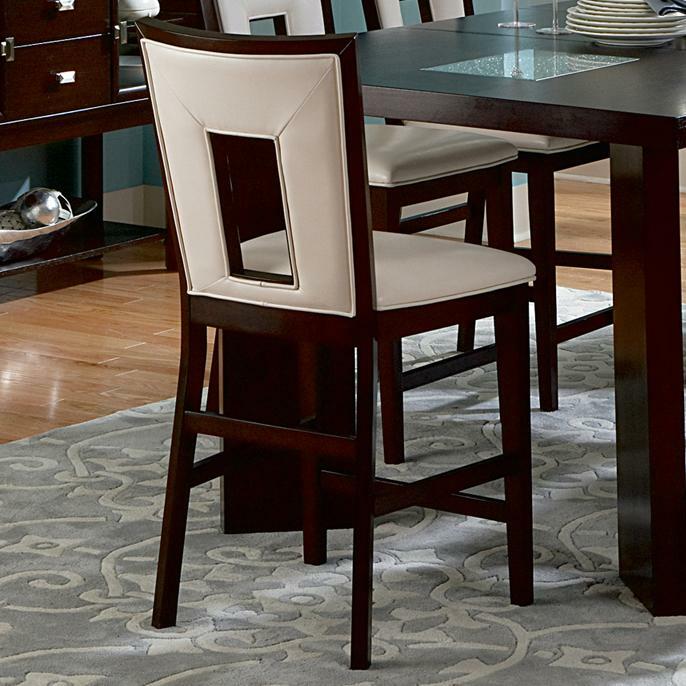 The two tone dining chairs provide an eye-catching pop of color to spice up this collection up. Offering a dining set in two different sizes, and a complete living room occasional set, the Delano collection will effortlessly furnish your home with 21st century luxury. The Delano collection is a great option if you are looking for Contemporary furniture in the Albuquerque, Los Ranchos De Albuquerque, Rio Rancho, Santa Fe, Corrales, NM area. 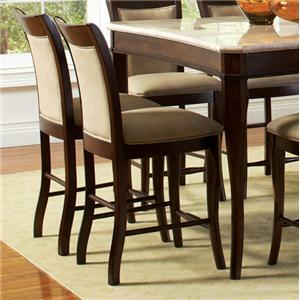 Browse other items in the Delano collection from Furniture Superstore - NM in the Albuquerque, Los Ranchos De Albuquerque, Rio Rancho, Santa Fe, Corrales, NM area.